2014 was the first year in 50 years that traffic deaths were seen to rise over the totals of the year before. The trend has continued for two subsequent years, with recently-released reports showing that the US again saw more fatalities on its roads in 2016 than in the year before. 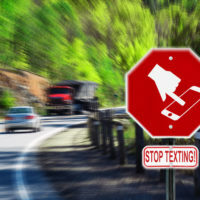 While the report released by the National Highway Traffic Safety Administration (NHTSA) indicates that distracted driving went down, many experts believe that this data is incorrect, and that a rise in phone use behind the wheel is to blame. The NHTSA’s report states that 37,461 people died while in or near a motor vehicle in 2016. This is a rise of 5.6% over the 35,485 people who died in car accidents in 2015. Based on these numbers, the NHTSA estimates that an average of 100 people were killed each day nationwide in traffic accidents. Between 2014 and 2016, the US has seen a rise in motor vehicle fatalities of over 14%. Deaths among pedestrians, bicyclists, and motorcyclists have been rising even faster than those among passenger vehicle drivers and their passengers. Deaths among so-called non-vehicle occupants accounted for nearly 33% of all deaths on US roads in 2016, a stark rise compared to the 25% share of traffic deaths made up of non-vehicle occupants in 2007. Pedestrians in particular became fatal victims of traffic accidents 22% more often in 2016 than they were in 2014. 5,987 pedestrians were hit and killed in 2016, which is an increase of some 1,100 pedestrian deaths over the number that occurred in 2014. Cyclist and motorcyclist deaths have also risen by about 15% respectively since 2014. Why the rise in traffic accident fatalities, particularly among pedestrians and those using smaller vehicles? According to the NHTSA, speed-related crashes, rising numbers of miles driven, and rising drunken driving rates are some of the most responsible factors. However, many experts believe that distracted driving has been underrepresented in the NHTSA’s reports. The National Safety Council, a nonprofit private safety coalition, has claimed that only about half of all fatal crashes in which cell phone use was a known element are reported by the NHTSA as being caused by cell phone distraction. Additionally, experts point to the rise in non-vehicle occupant deaths as further evidence of the influence of mobile phones, since these figures are more easily missed by a driver who is only intermittently scanning the road. Drivers in Washington who are injured in crashes caused by distracted drivers may have a right to file a lawsuit based on their injuries, using evidence of the at-fault driver’s distraction as support for their claim. If you’ve been injured in a Washington distracted driver crash, find out if you have a right to money damages for your injuries by contacting the effective and skilled Vancouver car accident lawyer John Lutgens for a consultation, at 360-693-2119.